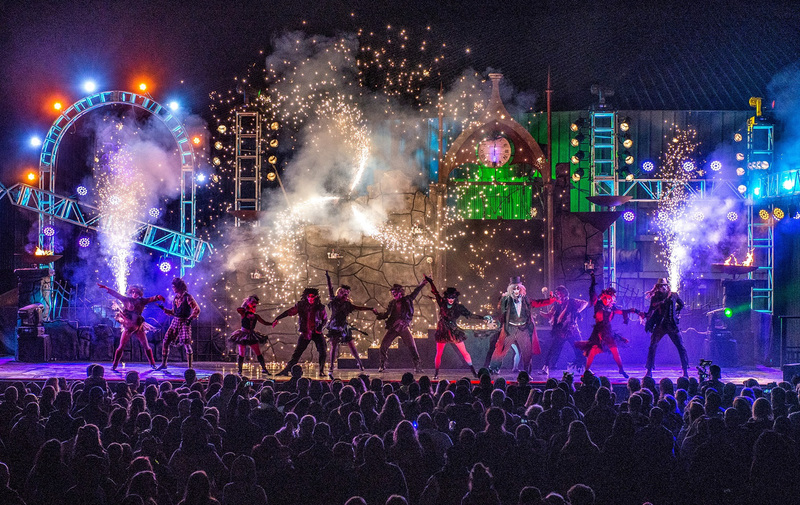 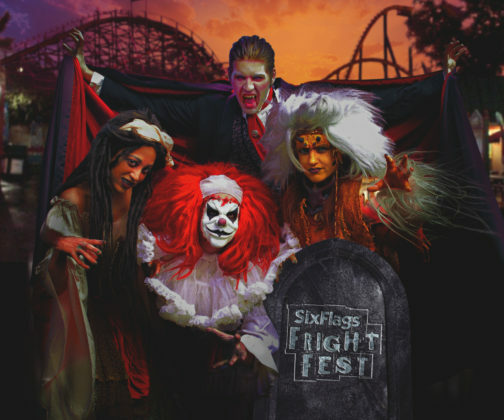 Six Flags Great Adventure is set to unleash the biggest and scariest Fright Fest in history this fall. 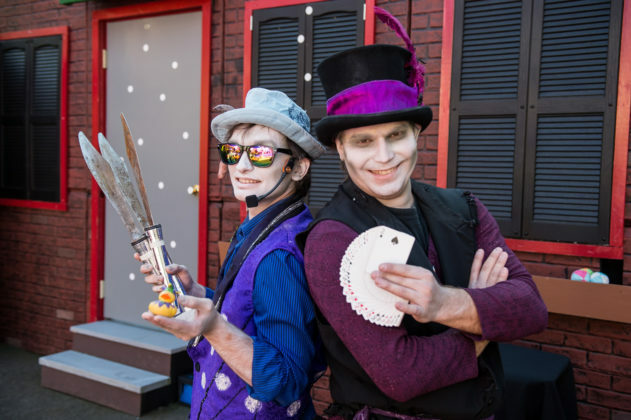 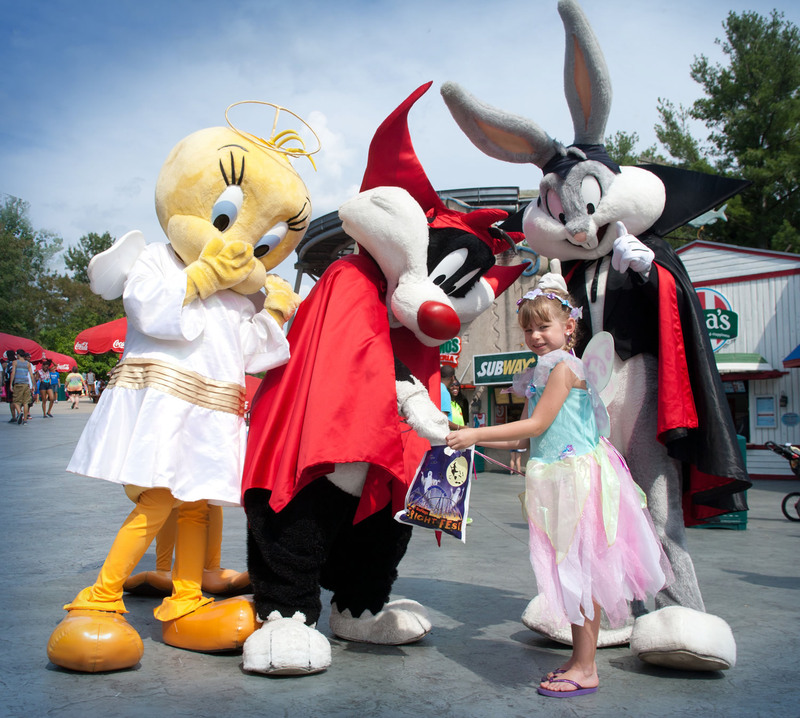 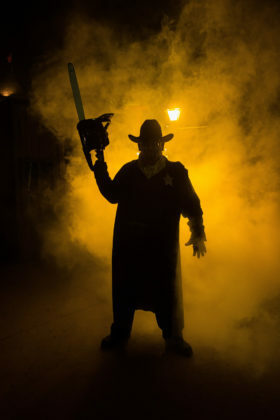 The Northeast’s Largest Halloween party, which runs weekends and select days September 16 through October 31, features more than 25 Halloween-themed shows and attractions. 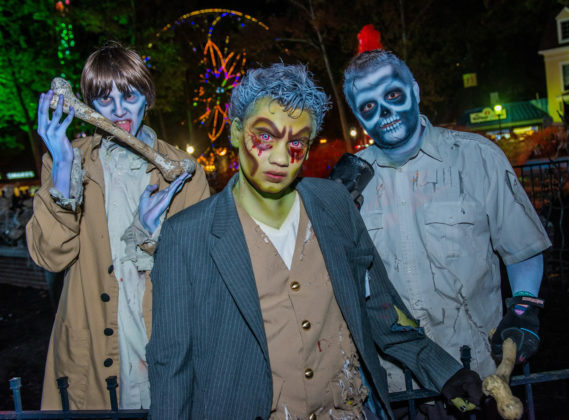 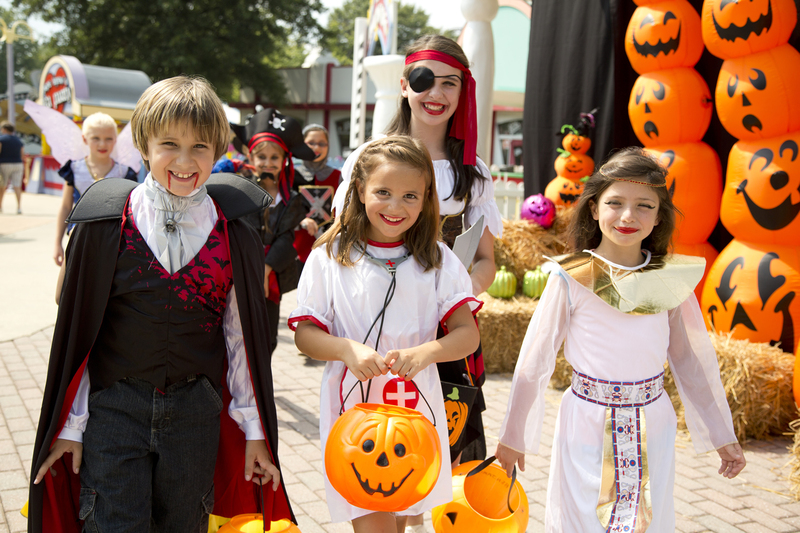 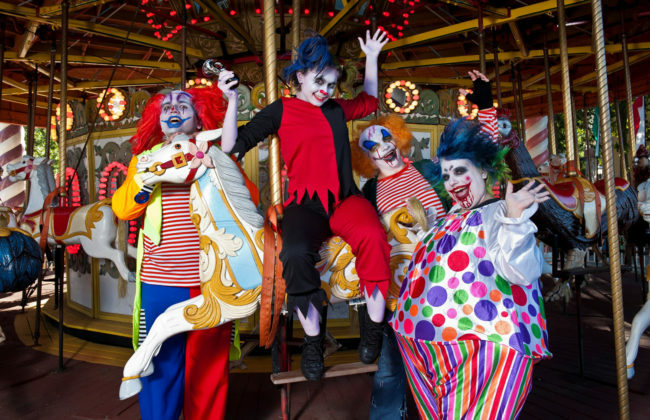 Families can enjoy Thrills By Day with all of their favorite rides and family-friendly entertainment, and experience Fright By Night with terrifying mazes, scare zones, spooktacular shows and thrilling rides after dark. In 2017, Six Flags unveils two newly-themed haunted mazes, three new shows and a new scare zone so every step is filled with fright. 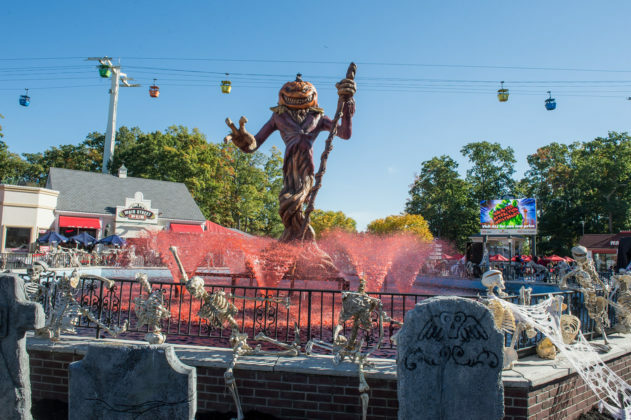 Lady of the Lake Cemetery – Great Adventure’s folklore inspired the newest scare zone, which will surely bring a chill to every guest. Guinevere, a drowned bride cursed by the Jersey Devil, has haunted Jackson’s Great Lake for more than a hundred years. 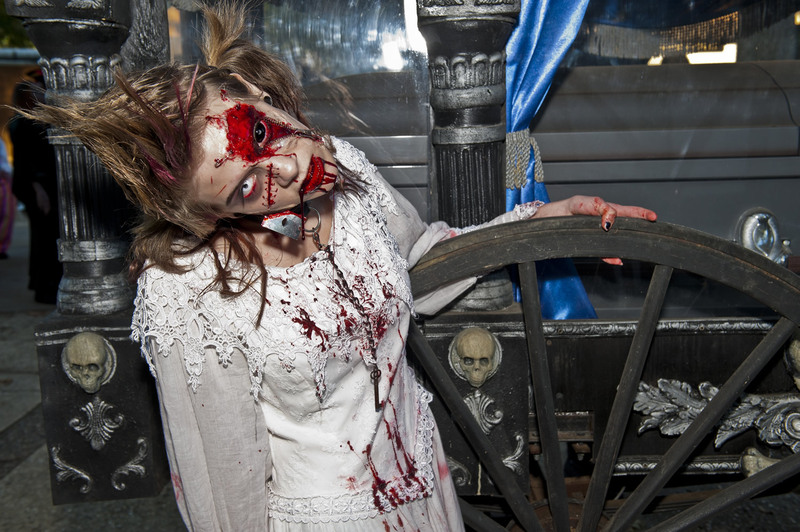 Guests can try to spot her spirit in the flowing, white dress as they walk through the mist and monster-filled graveyard. 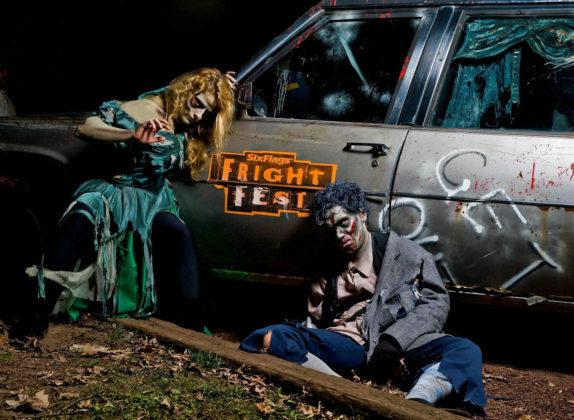 Aftermath – A post-apocalyptic world becomes a reality as guests try to survive this twisting haunted maze crawling with barbaric, mutant scavengers. 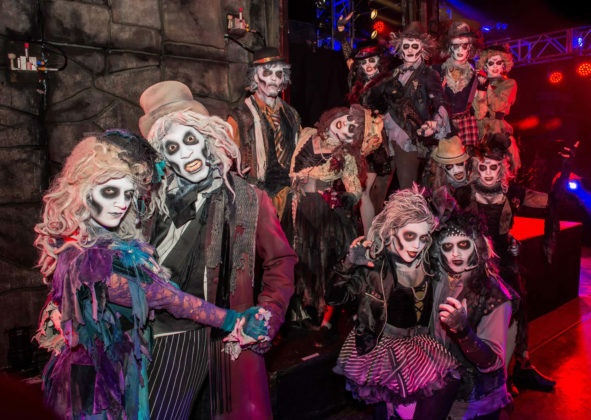 This raw experience of a global catastrophe makes nightmares come true. Extra fee required to participate. 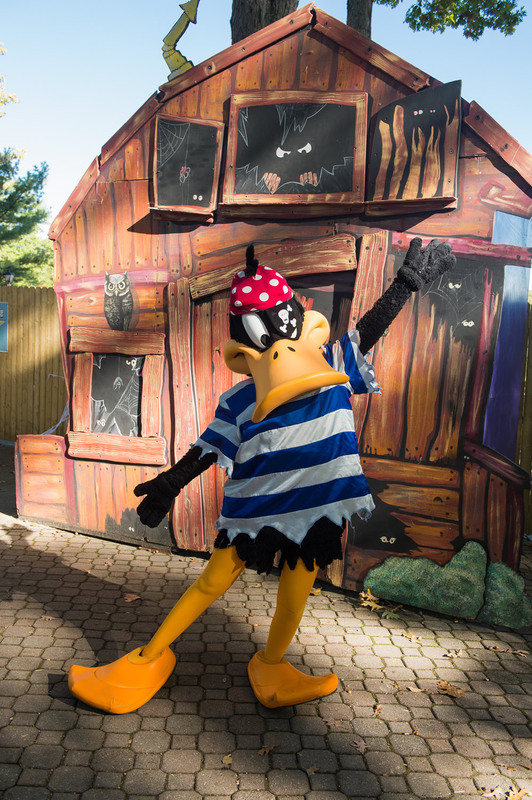 Wicked Woods – Fables and folklore from the dark and haunted forests aren’t just for story time anymore. 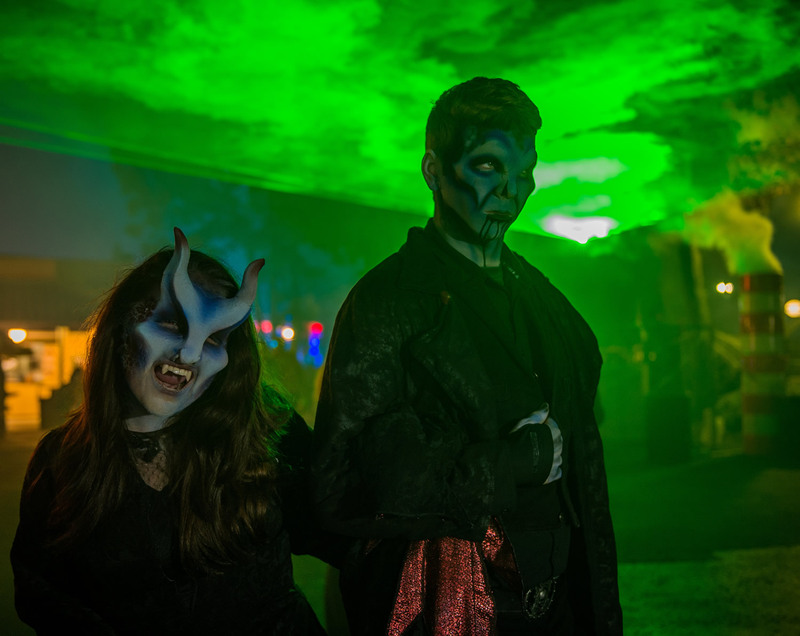 Evil creatures come to life under the creaky and gnarled branches as guests try to escape the night shadows. 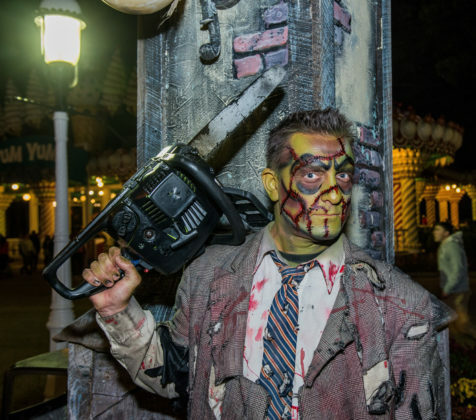 Extra fee required to participate. 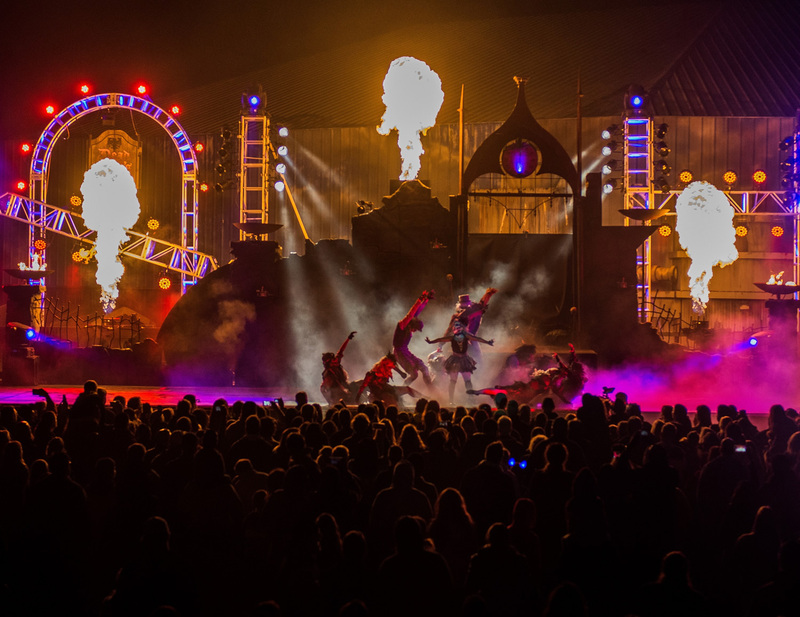 Unleashed – Guests will be spellbound by this new theatrical production featuring incredible acrobatics, dance, music and feats of magic premiering in Showcase Theatre. Corvyx – Alternative electronic pop artist Corvyx is taking YouTube by storm through a combination of haunting covers, visually stunning videos and original music. Armed with a wicked style and powerhouse voice, Corvyx will rock Fright Fest during his residency near the new Wicked Brew bar on Friday and Saturday nights. Ignite – A hypnotizing and dazzling display of fire spinning and illusion will have guests glued to the pavement watching every heart-stopping trick. 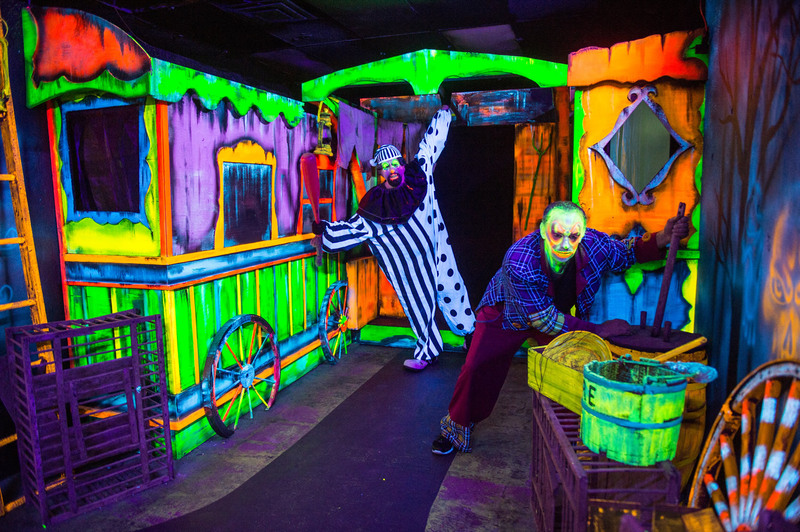 This performance, located next to the Bumper Cars in Adventure Alley, will really see if guests can take the heat. 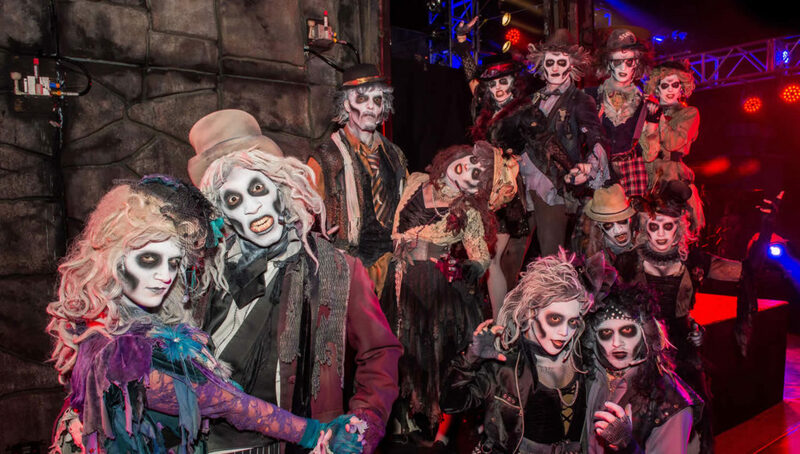 In all, 11 monstertainment shows, seven free scares, Halloween-themed shopping and dining experiences plus a world-class thrill ride collection are included with park admission, Season Pass or active Membership. Seven haunted mazes require an additional fee. 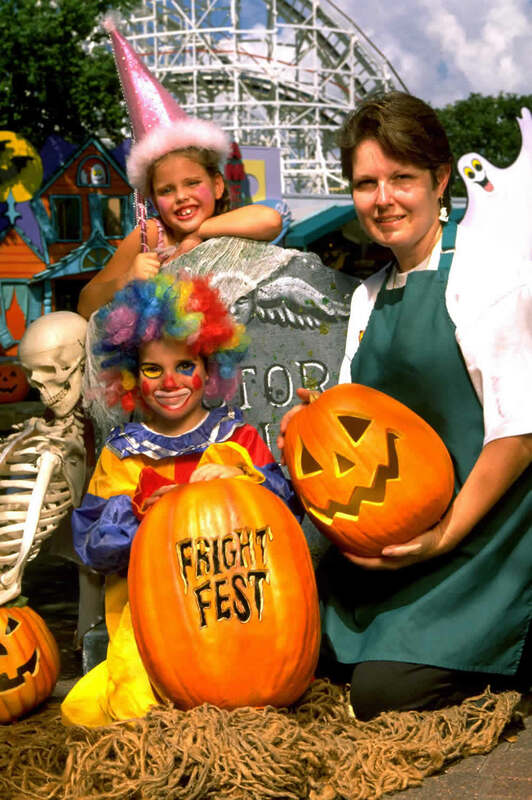 Fright By Night is not recommended for children under 12 and those who scare easily.